I'm very dubious of any rumor that involves Kubica getting a race seat at this point. It smacks of wishful thinking over informed sources. I am sure, Stroll will drive for Point sooner or later. However, if it is to happen during this season, probably watertight driver contracts (either Ocon or Perez) need to be overcome. Of course, that is very possible but might be rather expensive. A direct swap with Williams appears to be most likely, IMO, although it would probably still involve some monetary compensation for whoever shall move to Williams. If there can be any faith in Williams to improve for the next seasons, Perez and Williams might be a perfect match because of the money Perez brings (and Williams will be in desperate need of). If Point stays a Mercedes customer, and even more so if they intend to make the ties closer ("B-Team"), Mercedes would be most stupid to allow them to fire Ocon, really. Lance Stroll visited Silverstone on Tuesday to see if he fits into this year's & next year's car. He did! Otmar has said it wouldn't be in the best interests of the team to bring Stroll in immediately as FI are aiming to score as many points as well & are targeting 5th in the WCC. Stroll will take time to adapt to a new car & with 8 races left to go, time is precious. Good news for Ocon as of now it seems. yeah I thought it was odd that so many teams were apparently willing to play musical chairs at this stage of the season. It would basically make the rest of the year a bit of a lottery for them and it probably wouldn't be in the interests of the driver coming into the team. Probably for the best anyways. If Williams were to look competitive in any way, it had to be here. He did well no doubt. Post subject: Re: Racing Point Force India on a roll!!!! After scoring a mammoth 32 points in Spa & Italy, it could be assumed these tracks did suit the Force India car. But great days are ahead of the team come Singapore. Singapore has also suited the car as it's a traction control dependent track & this team is one of the best at TC. "The update, which had been delayed by the team's financial situation, is "a good step. It's a bit of everything, but it's mainly aerodynamic. But there are some suspension bits in there as well. It's a good step. 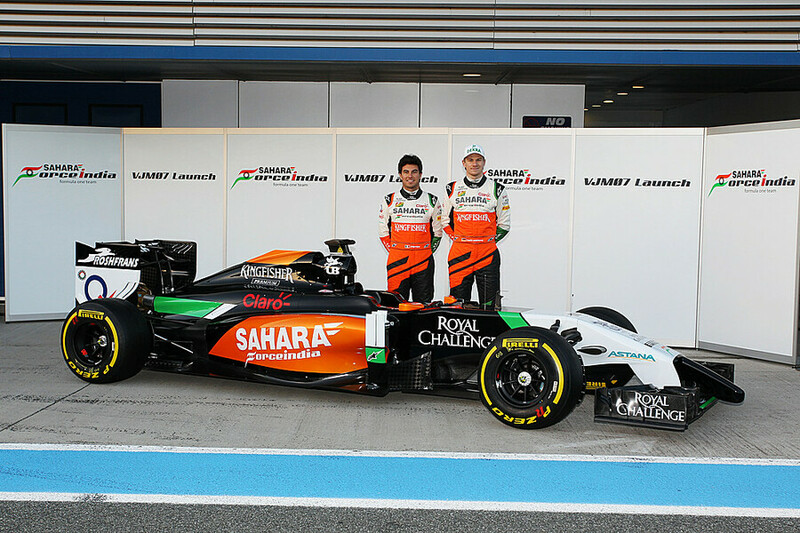 Force India always have an ace up their sleeves i.e. they get upgrades late in the season when other teams usually don't. However, this year the delay was purely financial but Singapore onwards, the team will be competitive through to the end of the season. With Perez & Ocon being super competitive in recent races, it should just bring a big smile on the 405 staff members of this marvelous team. Post subject: Re: Racing Point Force India - Reborn from Ashesl!!!! He doesn't mean the electronically assisted type of TC that is banned. he means that FI is good at maximizing traction utilizing everything that is legally allowed within the rules. I think you can mentally delete the 'control' word. He's just talking about traction. Oops for a moment I thought it was F1 2018 game! But FI have always been good at exiting slow corners with good speed which is why they've had some good results in the past at Singapore. Tracks that have a stop - start kind of layout suit them well. The car already seems good but with some good aerodynamic & suspension upgrades, they should be more competitive now. I'll be honest, before all this started I'd never heard of Uralkali. I did happen to spot their name on the cars during the coverage of Singapore which I had not noticed before, not saying it wasn't there just that I had not noticed it before. Now running with a goof financial injection, Force India plan to revamp their factory by either expanding the current one or moving to another but bigger location. Even though all this may take a couple of years for the revamped factory to set in, it's good news for the team in the long term. I like the pink to be honest. The 2014 is my 2nd favourite. The pink is just so unique. So much grey and black on cars. In just about 2 months, Force India (with the assistance of Lance Stroll ofcourse) have cleared all their outstanding dues. That's quite a feat & a big sigh of relief. Yeah I really like the pink too. Force India will be investing 80 million Euros in a new factory. The land for the factory will be finalised this month & the factory will become operational by 2021. The new big target for the team is to catch up with the top 3 in 2021 & this is the first big step towards it. Wow! That's the sort of statement of intent I was hoping for from the new owners, but I have to admit I'm still a bit surprised. Maybe they're serious about breaking into the top three? Could be interesting times ahead!